Questions are one of the most effective, and perhaps underused, tools found in a parent’s (and really anyone’s) toolbox today. Just five minutes of expressing interest in your child will do more to build your relationship than five months of trying to get him interested in you. If you’re like me, however, you find it easy to get stuck in the gear of telling your kids what they should do, telling them how they should do it and telling them when they should, instead of taking the time to ask them meaningful questions. To most of us. . .parenting means telling, not asking. Despite that tendency, I’m finding I cannot force wisdom upon a child; rather, it is something that must be drawn out. Ambassadors use questions to build bridges of diplomacy between countries oceans apart. Teachers use questions to build bridges of learning to their students. Wise husbands, use questions to build intimacy with their wives. Managers use them to cultivate teamwork and productivity among employees. Talk show hosts use them to encourage lively discussions that keep us listening. The wise parent, likewise, will use questions to bridge the generation divide with their child, whether enroute to nursery school or on the way home from a high school soccer game. Questions are invitations. As clearly as an invitation opens the door of your house to a friend to attend a birthday party, bridal shower or backyard barbecue, questions invite people in. They evoke a response. Questions engage the individual. Effectively formed and sensitively placed, they construct an atmosphere of interest that draws upon the hidden resources and needs of the soul. Over the past twenty-plus years, I have often been absolutely amazed at what a question can do. As a parent, pastor and university professor, they have been absolute essentials in the work of raising children and cultivating Christians. Jesus consistently utilized the tool and, as a result, spent much of his time on earth in ministry asking great questions. He interspersed no fewer than fourteen questions in the Sermon on the Mount alone (Matthew 5 – 7). Questions have a way of cutting through the busy debris of life and drawing upon what really matters. A good question can open a conversation; a great question can open a soul. 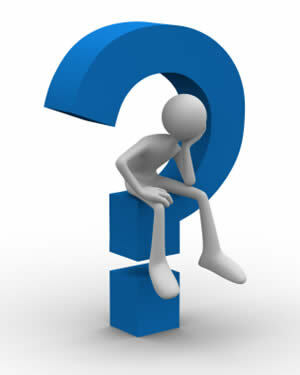 What’s is one of the best questions you have every been asked; or that you have asked of someone yourself?